This is an overview of common mistakes to avoid when starting a new Nimble account. Lets get started! All promotions, marketing, important account details as well as exciting webinar information will be sent to the the email address that your Nimble account is registered to. Nimble Tip: Using a proper email address comes in handy when you are interested in exporting your contacts or your deals from your Nimble account, as Nimble will automatically will send these requested exports to the email address that your Nimble account is registered under. 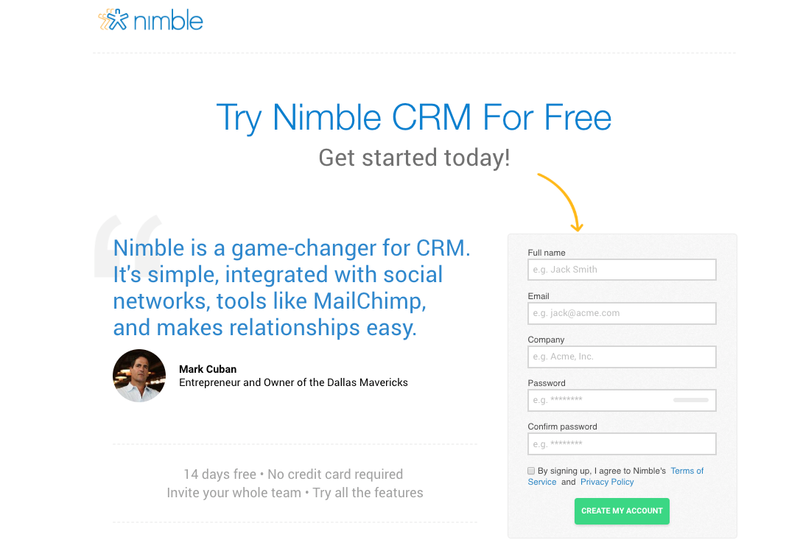 When selecting an email address to use for your Nimble account registration, be conscious that all things having to do with Nimble will be received in that location. 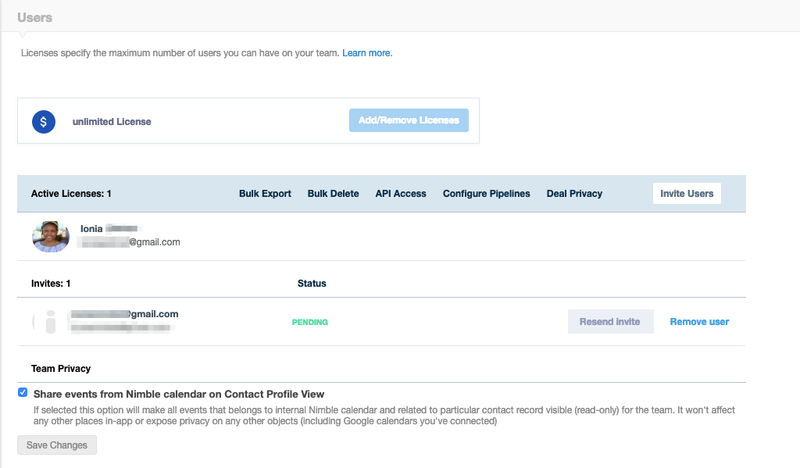 Admins take on the role of handling account billing, and restrictions amongst team members. When a Nimble team account is created, the person who created the account will become the administrator of the account. Nimble Tip: Select a person that you would like to be the account admin to create your team's Nimble account. The admin will be the designated bill keeper, license creator and user inviter, as well as gatekeeper of who sees and does what within the team account. If you or another teammate have created the account but would like to appoint account ownership to another person, this can be done by visiting Settings >> My Account and selecting the option to "Transfer Account Ownership". Avoid importing your entire contact list. Know which contacts are important to you! More often than not, users enter their Nimble account and select the options to import all of their contacts from Gmail, Twitter, etc. After importing all contacts, it may take some time to organize and clean up your list. Nimble Tip: Save some time cleaning up incomplete and unwanted data by creating a list of contacts within a spreadsheet (such as Excel or Google Sheets) in order to build an organized list of contacts that will be important to your daily workflow. Once you’ve created this list of contacts, export it to a CSV file and use our Import Wizard to upload the file. Tag your contacts upon import! After importing your contacts they can easily begin to blend in with the rest! Nimble Tip: Tags enable you to group your contacts so that they are easily accessible at a later time. As best practice, we recommend tagging your contacts upon import in order to classify exactly where these contacts are coming from, who they belong to, etc. If you have imported contacts from multiple sources, you may come across duplicates. It's important to note that Nimble will automatically merge your contacts based on email address when importing using a CSV file. However, there are specific options that you can select on the third page of the import process in order to avoid creating duplicate contact and company records. Nimble Tip #1: When importing your file, it's important to note that we default to merging contacts based on email address. If some of the contacts and companies in your CSV file do not have an email address, then you should choose to "Merge on Email if available and First and Last Name when there is no match by email" under the 'People' category, and the 'Merge on Name if no match by Domain URL or Email' under the 'Companies' option to avoid creating duplicate contacts. Nimble Tip #2: For contacts imported through social accounts, we will merge based on social URL or Twitter handle.